While the Tucson can haul a maximum load of 454 kg (1000 lbs), the 2017 CX-5 has a capacity of 907 Kg, that’s 2000 lbs. This is something that really needs to be taken into consideration, especially if you are looking to get a utility vehicle for towing purposes. With its 9.4/7.4 L/100 km (city/highway) for the models with two-wheel drive and 2.0 L engine, the CX-5 burns less fuel than the same model from Hyundai, that lists its consumption at 7.8L/100 km. Same thing for the CX-5 models that are equipped with a 2.5 L, 187 horsepower engine that burns 8.3 L/100 km on the highway, compared to 8.5 L/100 km for the most powerful Tucson that is equipped with a 1.6 L Turbo. 3. An unlimited mileage warranty! 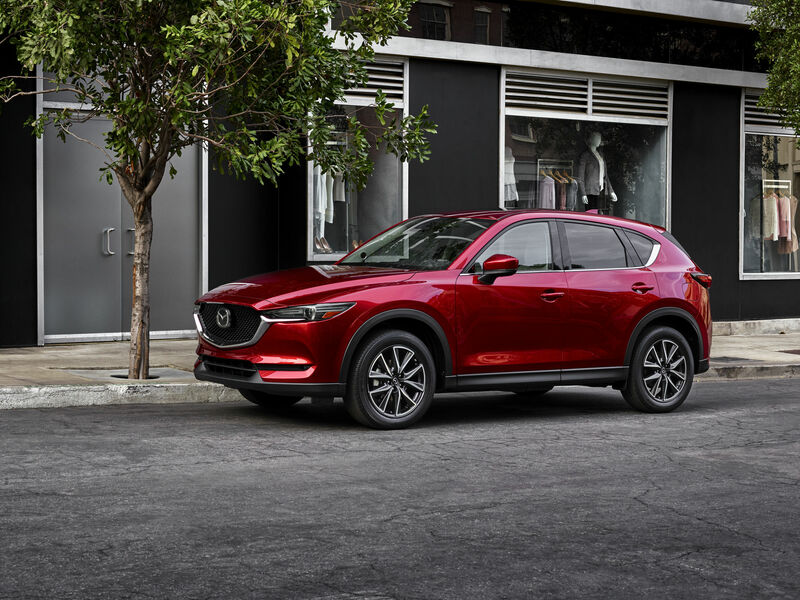 Just like the other new vehicles in the Mazda family, the 2017 CX-5 has an unlimited mileage warranty on new vehicles, roadside assistance, powertrain and anti-perforation, as well as great coverage for its other categories. The Tucson, for its part, offers a warranty that is limited to 100 000 km in most cases. What’s more, once you’ve taken a test drive in the 2017 Mazda, you’ll appreciate its comfortable passenger compartment, its sporty drive and many technological gadgets and features like heated front and back seats, navigation, speed limit identification, Mazda Connect system and Bose sound system, depending on the model you choose. To find out more about the all-new 2017 Mazda CX-5 or to book your test drive, come and see us today at Spinelli Mazda in Lachine!